The mg Times is a quarterly magazine published both in English and Spanish, with a circulation of 20,000 copies and more than 120 thousand page views online. The mg Times is a free publication, distributed worldwide to educational and governmental leaders, BDMs, LOEMs, Telcos and all those interested in Education and Technology. Ahlin Byll-Cataria, Andreas Schleicher, Anthony Salcito, Bob Geldof, Bruce Dixon, Conrad Wolfram, David Coltart, David Truss, Don Tapscott, Gavin Dykes, Geoff Mulgan, Greg Butler, Kapil Wadhera, Kirsti Lonka, Leonardo Garnier, Lucy Molinar, Maria Teresa Lugo, Michell Zappa, Miguel Brechner, Rui Lima, Russell Quaglia & Steven Paine. MEED has been providing business intelligence to companies operating across the Middle East, since 1957, through MEED magazine and MEED.com. By providing in-depth analysis and news, explaining data trends and through our tenders service, MEED’s sector and country experts ensure that subscribers are in the best position to act ahead of their competition to win new business. Education and technology are becoming more important to this fast-developing region. Governments across the Middle East want to ensure that the next-generation has the skills and knowledge to meet future business and economic growth. With increasing reliance on technology across all sectors, including education, and a youth population growing at 3% a year, MEED’s market insight allows educators, investors and employers to gain a competitive advantage in the evolving Middle East market. AMEinfo.com is a leading provider of news and business information in and about the Middle East region featuring a wide range of news and services covering fourteen countries. Our readership includes ABC Electronic audit: 2,475,165 Unique Browsers (March 2012) from more than 150 countries worldwide. Roya TV is a Jordanian television channel which communicates through software addresses to the young and the whole family. It aims to be the first choice for information and entertainment programs. They offer a range of diverse programs, which meet many of the concerns of the public including technology, comedy, music, drama, also working to provide news 24 hours a day for viewers to inform them about any local events and new sports. 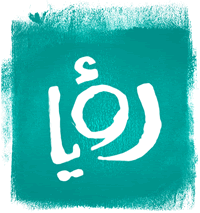 In addition to that vision Roya TV has taken upon itself since its inception to address the most pressing issues such as the environment and money and local affairs through many programs that ensure permanent viewers see the latest news stories, recreational, cultural, sporting and other. The News Agency, a member of TAG-Org, is a specialized media outlet that sheds light on all-education related issues; latest developments, technologies introduced and academic institutions and their activities. The News Agency establishes links between scholars, education specialists and students in both government and private sectors all around the world. It is exclusive to education news, articles, analysis and reviews to meet the latest updates in the field and help the world acknowledge the achievements in this field. The News Agency also acts as a link between students and educational institutions around the globe with several partnerships planned with universities, colleges and schools. With international competition and collaboration between universities growing apace, it has never been more important for higher education managers, researchers, academics and public officials to keep abreast of developments in the sector and in rival and partner institutions worldwide. University World News is the first high quality, truly international e-newspaper and website dedicated to providing such coverage. Supported by some of the world’s most experienced education journalists, and aimed at higher education readers worldwide, it publishes a weekly emailed newspaper plus a dedicated news website – free of charge. The PIE News is business news forum containing daily news, features, interviews with key industry figures, a comprehensive events calendar and a photo gallery. The PIE Weekly is our popular newsletter, which is emailed to subscribers every Friday and contains the week’s top stories and latest jobs board postings. SciDev.Net – the Science and Development Network – is a not-for-profit organisation dedicated to providing reliable and authoritative information about science and technology for the developing world. Through our website www.scidev.net we give policymakers, researchers, the media and civil society information and a platform to explore how science and technology can reduce poverty, improve health and raise standards of living around the world. We also build developing countries’ capacity for communicating science and technology through our regional networks of committed individuals and organisations, practical guidance and specialist workshops. SciDev.Net’s vision is to achieve better-informed decisions by individuals and organisations in the developing world on science and technology related issues, and thus the better integration of scientific knowledge and technological innovation into policies, programmes and projects intended to achieve sustainable development at all levels of society. DevelopingTelecoms.com focuses on communications developments and solutions in emerging markets in Africa, Asia, Central & Eastern Europe, Latin America and the Middle East. With over 10,500 website visitors per month and 15,000 e-newsletter subscribers, we keep senior executives in the communications ecosystem informed about their business. In addition to daily news updates and features DevelopingTelecoms.com carries case studies, white papers, interviews, video and banner advertising for leading companies. Follow us on twitter, RSS and sign up to our e-newsletter at www.developingtelecoms.com. CHECK.point eLearning – The Portal and Newsletters geared to target groups in the eLearning market: – Supplies essential knowhow for decision makers working in human resources; for professional providers of eLearning technology, contents and consultancy; for universities und representatives of research institutes; for trainers and tutors; for schools. CHECK.point eLearning provides you with continually updated information on trends and developments in the field in the international markets.